Cocktails may be the best part of a cocktail party, but the snacks are a close second. But no one wants to spend hours over the stove making party snacks. With this cheese crisp recipe from Fine Cooking you don't have to. Cheese plates, meat trays, and crudite platters are all fine and good, but there's something special about homemade hors d'oeuvres. Cheese crisps provide a large wow factor while requiring little prep-work and only one ingredient. All you need is some hard cheese and a bit of heat and within minutes you have a delicious, chic snack, perfect for an elegant cocktail party (or binge-watching Netflix in your PJs). 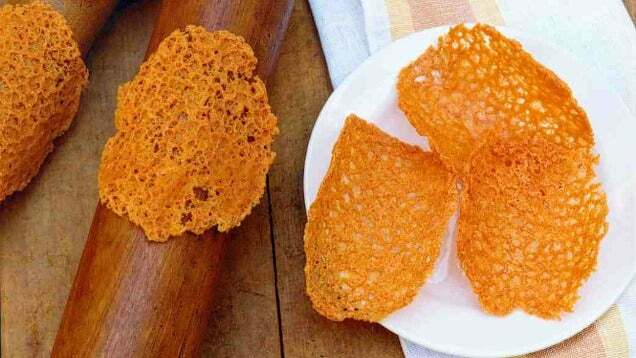 To make cheese crisps, simply bake or fry shredded mounds of whatever hard cheese strikes your fancy until they just begin to brown. If you wish to get next-level, you can mix in ½ a teaspoon of your favourite spice or seasoning (cumin, fennel, chilli powder: it's all very good). You can find the full, slightly more detailed instructions from Fine Cooking (for baking) or Martha Stewart (for frying) below. Serve alongside a seasonal fruit or veggie tray and be prepared to receive many compliments.